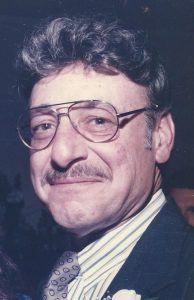 WATERBURY — Alexander W. Piccolo, 78, passed away Wednesday, Jan. 16, 2019 at Waterbury Hospital. He was the husband of Geraldine (DeBernardo) Piccolo. Mr. Piccolo was born July 19, 1940 in Ansonia, the son of the late Alexander and Rose Piccolo. He was a longtime Oxford resident before moving to Waterbury in the early 1990s. He was a barber for his family business, Piccolo’s Barber Shop, and had also worked in the landscaping and trucking industries. Besides his wife of 28 years, Mr. Piccolo is survived by his children, Wendy Mcguire of Rhode Island, Sandra Cass of Beacon Falls and Karen Henning of Bethlehem; his brother, Theodore Piccolo of New Hampshire; his stepdaughter, Diane Engelhard of Milford; his stepson, Daniel Morange of New York; his four grandchildren and three great-grandchildren. Besides his parents, he is predeceased by his great-granddaughter, Ava. Calling hours will be held on Friday, Jan. 25, 2019 at the Alderson-Ford Funeral Home of Naugatuck, 201 Meadow St., Naugatuck from 4 to 6 p.m. with a Service of Remembrance at 6 p.m. Burial will be held at the convenience of the family. For online condolences, to share a photo or a story, visit www.fordfh.com. Obituary: Walter E. O’Bernier Jr.